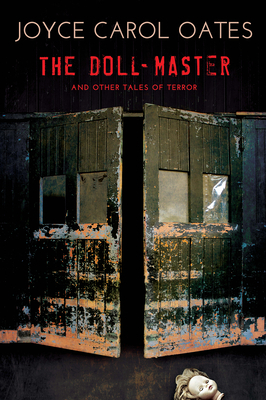 From one of our most important contemporary writers, The Doll-Master and Other Tales of Terror is a bold, haunting collection of six stories. In the title story, a young boy becomes obsessed with his cousin's doll after she tragically passes away from leukemia. As he grows older, he begins to collect "found dolls" from the surrounding neighborhoods and stores his treasures in the abandoned carriage house on his family's estate. But just what kind of dolls are they? In "Gun Accident," a teenage girl is thrilled when her favorite teacher asks her to house-sit, even on short notice. But when an intruder forces his way into the house while the girl is there, the fate of more than one life is changed forever. In "Equatorial," set in the exotic Galapagos, an affluent American wife experiences disorienting assaults upon her sense of who her charismatic husband really is, and what his plans may be for her. In The Doll-Master and Other Tales of Terror, Joyce Carol Oates evokes the "fascination of the abomination" that is at the core of the most profound, the most unsettling, and the most memorable of dark mystery fiction. Joyce Carol Oates is the author of such national bestsellers as The Falls, Blonde, and We Were the Mulvaneys. Her other titles for the Mysterious Press include Jack of Spades, High Crime Area, and The Corn Maiden and Other Nightmares, which won the 2011 Bram Stoker Award for Short Horror Fiction. She is the recipient of the National Book Award for them and the 2010 President's Medal for the Humanities.